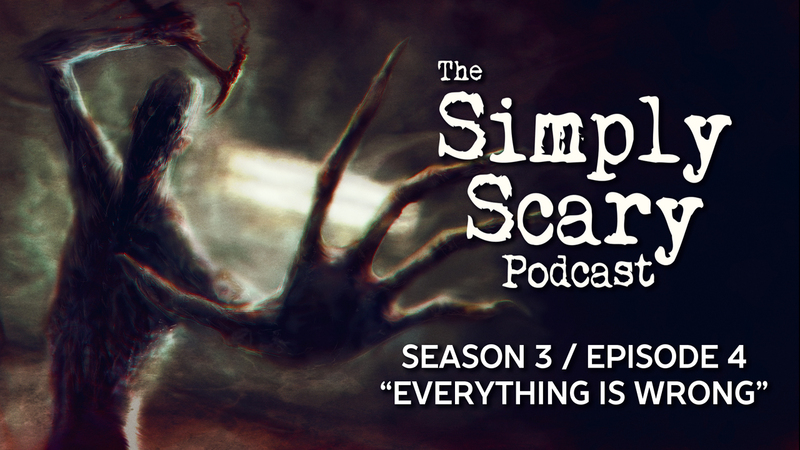 Welcome to Season 3, Episode 4 of The Simply Scary Podcast, with guest host, Otis Jiry, filling in for G.M. Danielson. Turn off the lights, and turn on the dark. In this episode of The Simply Scary Podcast, we’ll be your guide through the twisted worlds and disturbed imagination of authors Jackson Laughlin, Wynne F. Winters, Zamil Akhtar, and Pen_Phantom13, with tales concerning bad news, messages from beyond the grave, sinister secrets, the not-so-delusion last words of a dying man, and the unusual lengths a man goes to in order to win someone’s affection. “The Coroner Was Wrong” by Jackson Laughlin. Narrated by Jonathan West, and featuring Steve Taylor. Sound design by Chazz Ravenelle and Felipe Ojeda. Original music by Felipe Ojeda. “Daddy’s Girl” by Wynne F. Winters. Narrated by Heather Thomas. Sound design by Felipe Ojeda. Original music by Felipe Ojeda. “Rapture_2018” by Zamil Akhtar. Narrated by Jason Hill, and featuring Brindolyn McNair. Sound design by Chazz Ravenelle and Felipe Ojeda. Original music by Felipe Ojeda. “The Last Pine Barrener” by Pen_Phantom13. Narrated by Jordan Lester and Otis Jiry, and featuring Nikolai Porter. Sound design by Chazz Ravenelle and Felipe Ojeda. Original music by Felipe Ojeda.